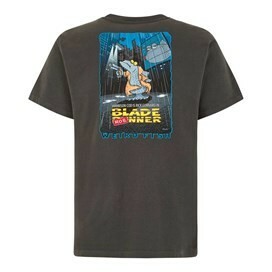 Show your love of the iconic film with our new Blade Roe Artist T-Shirt. Rick Gurnard is the star of our latest Artist T-Shirt, it's made from 100% cotton and available in a variety of colours. This limited edition T-Shirt was designed by Rich Skipworth and features the 'Blade Roe' print in large on the back with a smaller version on the chest. Excellent quality and good length for husband who is 6ft 5".